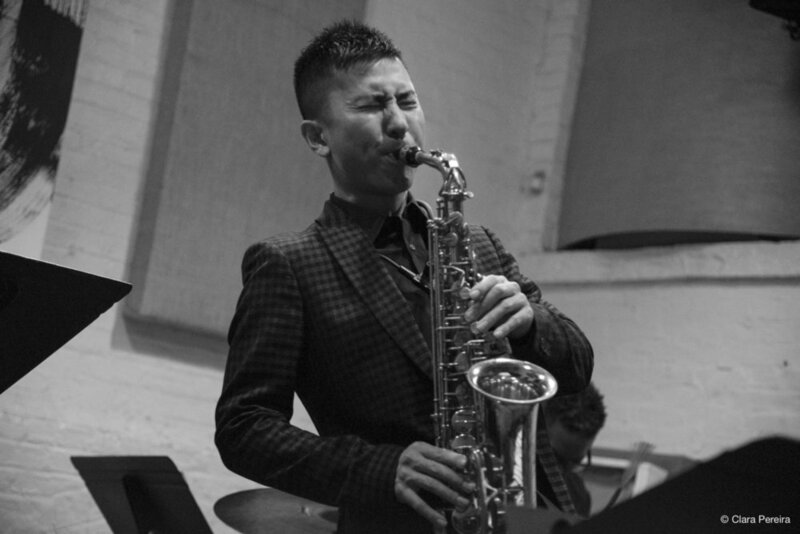 On Friday, March 22, iBeam Brooklyn welcomed Japanese saxophonist Kazuki Yamanaka, who presented his new compositions, the ones that will compose his sophomore album and follow up to Songs Unconscious-minded, released in 2015. By the time I’m writing this, the musician already went to the studio with the members of his quartet: pianist Russ Lossing, veteran bassist Cameron Brown, and drummer Gerald Cleaver. They all joined him for this jaunty performance. This was the group second gig and they kicked off with “Dancer in Nirvana”. 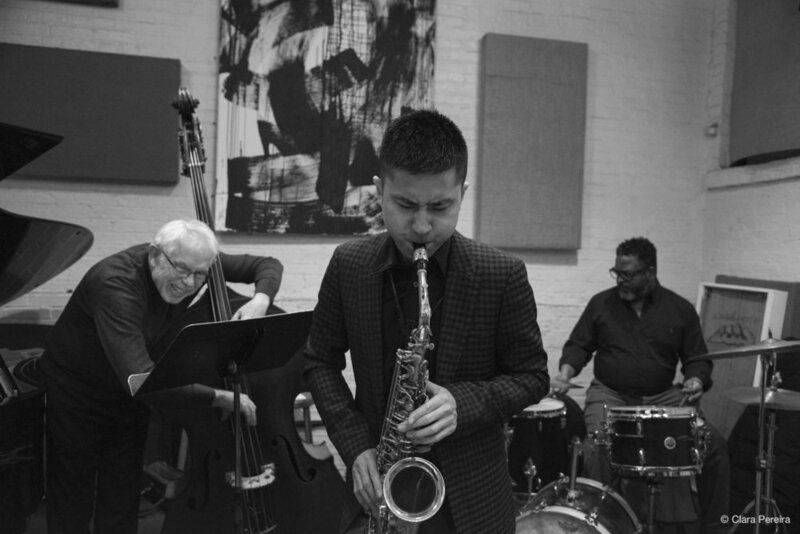 Yamanaka blows the soprano sax; Cleaver switches from mallets to drumsticks in less than a minute; Lossing shows all his inventiveness with fast sweeps and rhythmically engaging harmonies; the band revisits the theme before the bandleader sneaks in slowly yet authoritative on alto sax, gradually stepping on the border of atonality. Elusive or not, “Elusive Mood” swung happily and boasted an inviting melody, whereas “John’s Green Waltz”, Yamanaka’s newest piece written for his former teacher, John Abercrombie, brought this fine breeziness in the chord progression that would make the late guitarist proud. Shades of Ornette Coleman could be found on freebop tunes like “Lady Peacock” and “Stella’s Fancy”. The former composition was completely modified one day prior to the gig and featured solos by everyone - Brown plucked confidently, feeling completely at home in this environment; Lossing worked around the theme with a Monkish touch, even striding a little bit; Yamanaka unveiled his more melodic side; and Cleaver talked with expressionistic technique. Still without a title, “Untitled 01” felt like a train running, propelled at 5/4 tempo by a synchronous rhythm machine. Its avant-garde posture neighbors the rubato sketches of “The Lost Sheep”, and the concert ended temperately with the midtempo “Reminiscence”. Even though the sound of the room wasn't the best, Yamanaka left a positive overall impression and everyone is invited to check out his promising upcoming record.